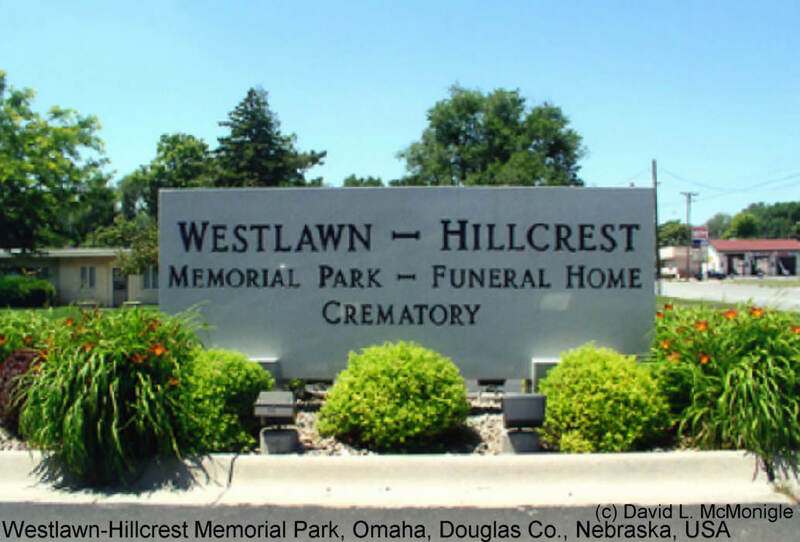 Hillcrest-Westlawn office phone number – 402-556-2500 and ask for Cemetery office for plot information. Westlawn Cemetery was actually the first or older part of the cemetery and is where the upright markers are found. Hillcrest was added later and the stones for this part of the cemetery are flat stones. There is a section called Greenlawn (there is no Greenlawn Cemetery).